A cable factory could be opened soon in Străşeni Free Economic Zone. The announcement was made by Pavel Filip during a meeting with the workers in the locality. The PDM candidate said 3000 new jobs will be created in Străşeni district this year. "People must simply create conditions. People should go on good road, have access to water, sewage, medical services, school, kindergarten and have a well-paid job, then people they will stay at home, not by slogans", said Pavel Filip. Mariana Jalba has been here for three years since the factory was opened. The woman says she previously worked abroad, and new jobs created in the country encouraged her to return. "We found jobs in Moldova and we decided to return home", said Mariana Jalba. 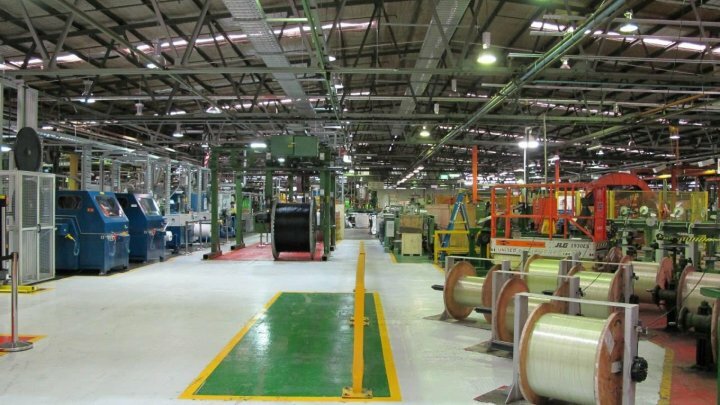 The cable factory managed to become a business model for the locality. It has 160 employees who benefit from modern working conditions. The company's representatives say that attracting foreign investment is a priority for governance because they contribute to the country's development. "It is of the utmost importance to attract as many foreign investors as possible in all fields. Thanks to that, we will have more jobs, advanced technologies and taxes to national public budget", said Nicolae Popa, representative of cable factory in Strășeni. The Mayor of Straseni says that effective cooperation between local and central authorities is needed to achieve good results. "If we talk about free economic zones, it starts with a decision of the local council, then the law and investors. So there must be cooperation between the local authority with central authority and investors", said Valentina Casian. "We have the intention to solve people's problems: pensions, salaries, jobs, children in kindergarten, ..."
People want further reforms and projects. "Roads are repaired. We have street lighting. The kindergarten is renovated". Pavel Filip is the PDM candidate in the 20th constituency, which includes 19 localities from Străşeni district and 4 localities from Orhei district.